A large complex of apartments, courts and gardens nestled against the gradual slope of the Garhjat Hills of the Eastern Ghats in Odisha. The Palace, built during the latter part of the 19th century on the site of the fort that witnessed a long drawn siege and war by the Marathas, led by Chemnaji Bhonsle, is the residence of the Raja of Dhenkanal and his Family. 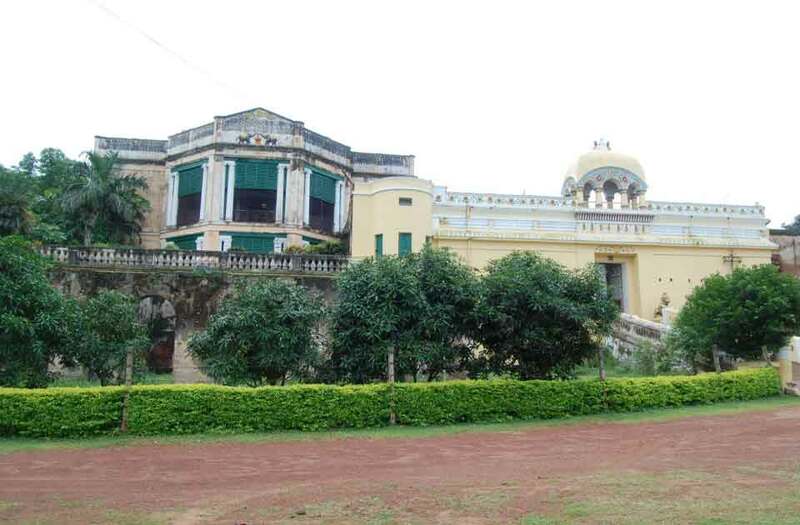 Dhenkanal Palace is situated 75 kms northwest of the state capital of Bhubaneswar on National Highway 55. Spacious well-lit rooms with attached bathrooms are available for the stay of guests desiring to spend time on vacation and sightseeing. There is hot and cold water available in all the bathrooms. The palace has Rooms which can accomodate upto 24 guests. Two large family rooms serve as lounges for the relaxation while the library of the Raja of Dhenkanal is available for the reading delights of the guests. There is also a shop offering soveniers. Late autumn and winter is the best time to visit Dhenkanal, between October and March. A mild winter and sunny days greet visitors during that period. A visit during the monsoons is a treat for the adventurous. Guests at Dhenkanal Palace can explore places of natural beauty, Handicrafts, Handloom, temples and monastries. The many picnic and leisure spots, the brass casting ‘Dokra’ at Sadeibereni, the exquisite weaving of silk and cotton sarees at Nuapatna, the delicate silver filigree at Cuttack, the intricate Pattachitra paintings and colourful appliqué work enroute to Puri, the seat of the Alekh Mahima Dharma, the tribal villages of the Majhis, Mundas and Sabars around Dhenkanal offer the guests a varied itinerary to glimpse into the culture and diversity that Odisha has to offer. Folk music and dance recitals are organised on request at the Durbar Hall of the Palace. Guests may have the pleasure of glimpsing some wildlife during their outdoor treks and travel.